PrestaSpeed optimize your Prestashop database, images and configuration to increase the front office and back office access speed. The module aims to erase all the statistics data that are useless for the administration of the store and overload the database (such as user connections, abandoned carts, etc). We recommend using Google Analytics for advanced statistics and avoid overloading your database (with normal traffic, the database may become larger and larger and slower store). The module also optimizes all tables in database and eliminates expired discount vouchers or abandoned carts, to improve the size of the database. And now,fix queries, repair tables to delete garbage from the database, and show in the Dashboard (need module reinstall). 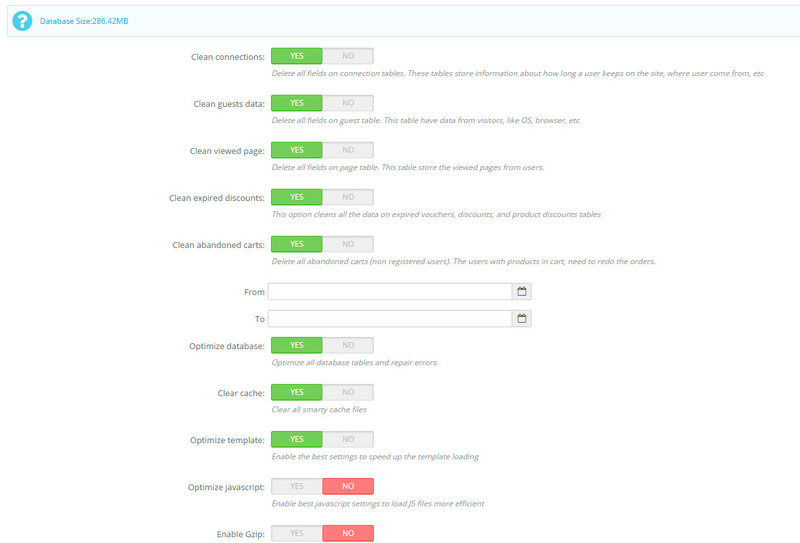 And you can also delete the valid orders by date and abandoned carts from users. For big stores, this help to delete old orders by date and save space on database. PrestaSpeed is not limited to working with the database, the module can clear the cache and optimize the CSS and JS files on your site and set up your shop for the best performance, compress fonts, etc. 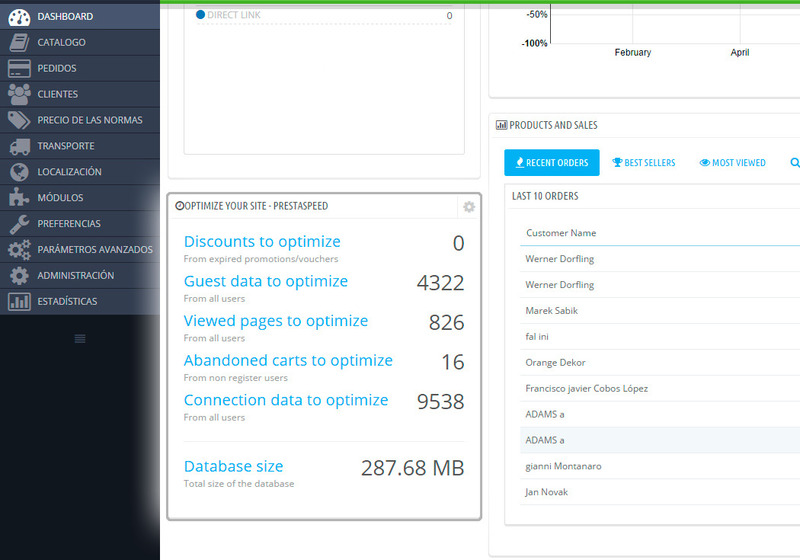 Now you can use Cron Task to automatically optimize the site database. 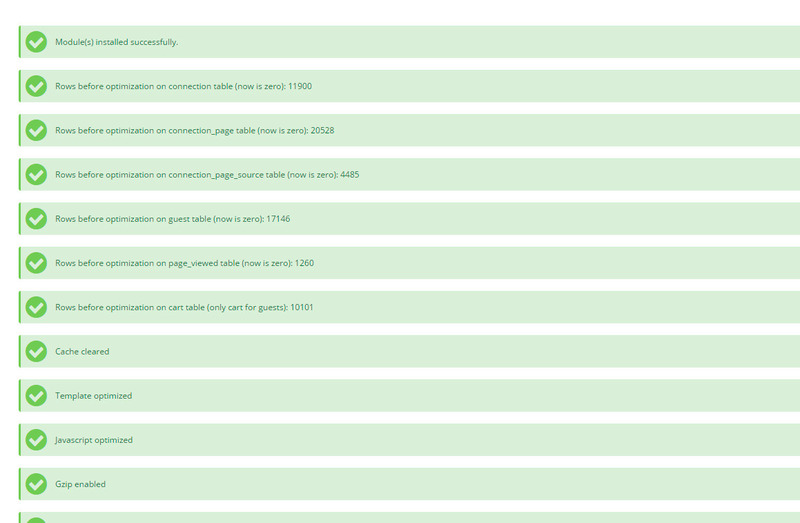 The module measures the speed of the site, and you can see the increase in performance (you must visit the front page). Also have infinite scroll option, to load a few products in category page, and load the rest when you scroll, saving a lot of time when load the category pages. To get the best performance in back office and front office, PrestaSpeed can optimize the htaccess to improve the load speed of your site, and set the best configuration for cache, gzip, headers, etc. 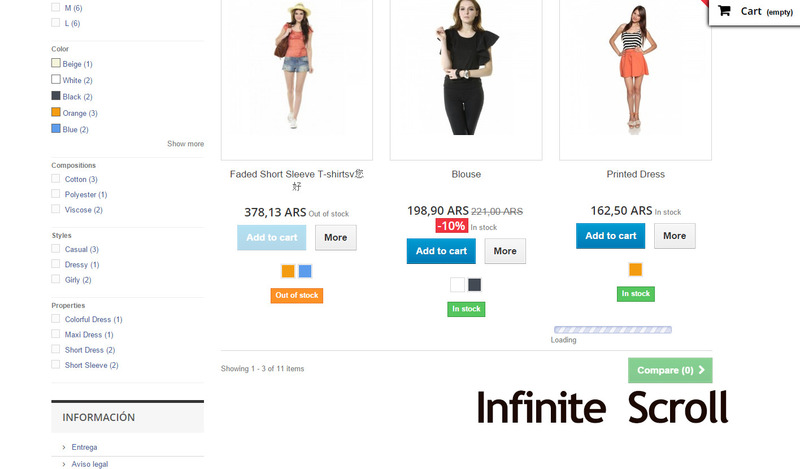 The last improvment is the optimization of the images of your store with Yahoo Smush/reSmush service. You can get a small image size with this optimization, and apply to any new product image, or optimize all the images for all products, categories images, modules / themes images, logo, manufacturers / suppliers images, scenes images and CMS images. The module also let you to delete all temporary images to save space in server. Or you can optimize images one by one. A new feature if you use Youtube videos, is when you embed a video, Youtube loads a lot of scripts to your site (almost 1MB). 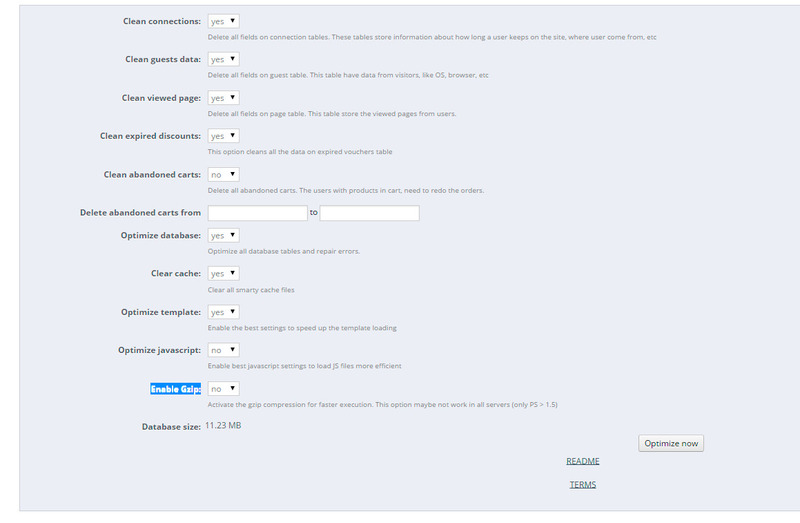 With the new code of PrestaSpeed, the load size of youtube decreases, and make your site faster. You need to replace the old iframe code with the PrestaSpeed code.